ÉVÉNEMENT INFRINGEMENT HORS-SAISON CE SOIR !!! Steve Ferrara et the Reverend Crawford Forbes d'Orange Monsoon et The Neverbeens et organisateurs du festival infringement de Brooklyn sont de retour a Montreal ce soir, jeudi le 3 decembre, 2009, en performance musicale avec le groupe SUNSHINE! This Brooklyn quartet does have some range. Going from power pop choruses to avant-garde, experimental bridges. Featuring four part vocals, Sunshine’s line up consists of Amy Santos on bass, the Reverend Crawford Forbes on piano, Steven Ferrara on acoustic guitar and Ted Pallas on drums/ percussion. In December 2009, Sunshine released a new single entitled Masterpiece of Mud. 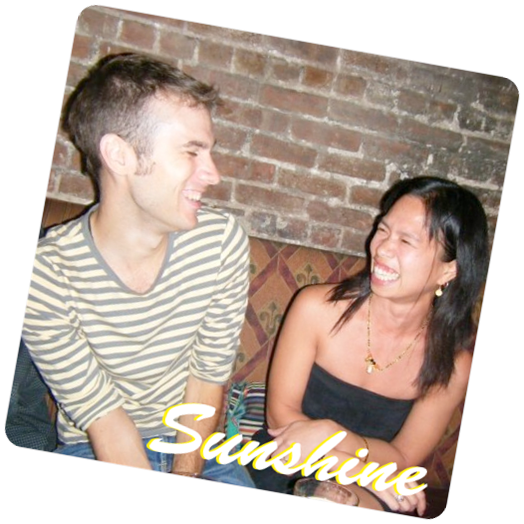 This ballad is Sunshine’s third release following two full-length cds: the self-titled Sunshine (2004), and Equal Halves Coincide (2005).